Many people have had the misfortune of experiencing a bad service from an estate agent. This is why great significance needs to be put on finding the best estate agents. First and foremost, let’s establish why it is so crucial for you to give your estate agent choice a lot of thought. 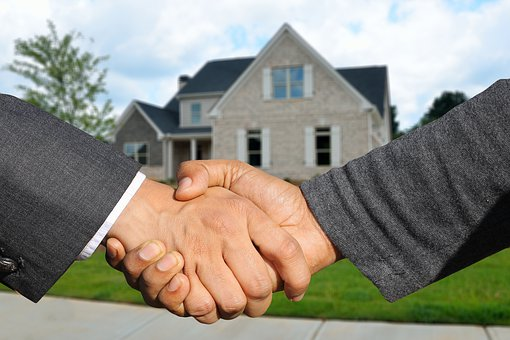 Whether you are selling a house, buying a property, looking for somewhere to let, or wish to let your own property; you are putting a lot of trust in the estate agent’s hands. You are expecting them to find you good tenants, to market your house effectively, help you with getting a home loan, to understand your requirements and find a home to match them, and so on and so forth. Yet unfortunately there are a lot of estate agents that merely keep their customers sweet by showing them different properties now and again which don’t even really meet their criteria. You certainly do not want to experience this when looking for an estate agent, especially if you are in a rush to sell / let a property or find one yourself. Customer reviews are always a great assessment of a business’s worth. If previous customers have been happy then there is a heightened chance that you will be too. The fact that an estate agent is held in high regard by all is a testament to the level of service they provide. Nonetheless, aside from this there are lots of other things you should be looking out for. One of the great things that set the best estate agents apart from others is the fact that they take professional images of properties. This is imperative. So many estate agents turn up to properties and take images on their digital camera that look shabby and make the property look worse than it was. They don’t know anything about lighting or the best angles. There are even some who have part of their finger over the lens and thus distort the image! In addition to this, they must have embraced the way the 21st century is going. They must recognise the importance of using the internet and social media. This should be ingrained in the way they handle their business and how they attract customers, buyers, and letters. They should use all channels possible in order to provide you with the highest level of services. And last but not least, the company you choose should have a large database of properties and a big database of individuals who are looking to buy and sell in the area. Because a lot of the groundwork has already been put in you are likely to benefit from a quick sale or let (or in other words a quick buy or rent). Don’t fall into the hands of unprofessional and lacklustre estate agents, instead go for the very best by using the advice provided. Slow Ride: Is Bike Safety Getting Close To Cars?